AMPProductions | Proclaim your mission. This page has been neglected for quite awhile. I have been evaluating its usefulness. We will be making overall social media changes in the new year. If you have been stopping by once in a while, come back for the changes! The group photo. Mexico. 2007. Between the updating of the AMPPhotos site daily and our summer projects, it has been a busy year so far. We are also undergoing an expansion. So, please stay with us as we grow and revamp our online presence. We will continue promoting missions and following our Lord! This fall we will roll out a new website and social-media presence. These are exciting times! Please continue to pray with us for God’s blessing and leading. A Mission Proclaimed is a federally recognized 501(c)(3). Your support is greatly appreciated. The nature of hatred; even the dead are despised, unwelcome. 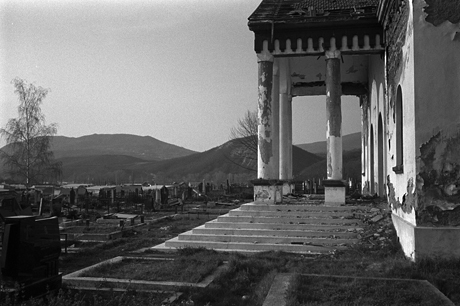 This graveyard is located just outside of Mitrovica, Kosovo. It is a Serbian graveyard. The ethnic Albanians have desecrated the graves of those interred here. The hatred runs so deep that even the dead have no peace. AMPP was in Kosovo assisting missionaries who work in Priština in adult education and church support. I spoke with some Albanian Kosovars about the ever-present KFOR (Kosovo Force international peacekeepers.) I asked one man when he thought Kosovo would be stabilized enough to allow the NATO peacekeeping force to leave. He stoically replied that they could never leave. If they left, there would be violence. His reply reminded me of the position of the Church in the world, and I am writing of the Body of Christ, not a religious organization. The Church, vis-à-vis the Holy Spirit, is a peacekeeping force for all humanity. Although the Church has been much maligned as a source of strife, it actually its presence that keeps the world from a hellish unraveling, for the time being. We do know that this situation is not a permanent situation. Just over one hundred years ago the world entered the Great War. One hundred years ago this past Christmas the British soldiers and there German soldiers ceased hostilities and crossed from their trenches across No Man’s land to gather together and celebrate Christmas Eve in peaceful comradery. After news of this event traveled up the chain of command and became known to their officers, these actions of amity were condemned and forbidden as not befitting men of war and contrary to execution of the war effort. In the image above, taken just outside of Ypres, Belgium, you can see a group of trees in the distance where some of the German trenches were positioned. The British trenches were located somewhere behind the position where this photo was taken. 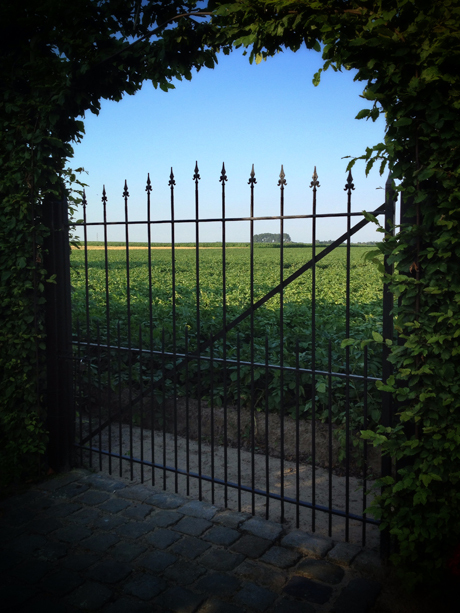 There is now a gate dividing the lines, but in 1914 there was nothing but devastation and desolation. That evening of peace, Christmas 1914, was followed by a century of war. What will this new year bring? Peace seems yet out of reach based upon evidence of events around our world. But, that should not surprise those who understand the nature of man and the burden of sin. Our hope is not in man, but in God. Our hope is that those with whom we interact will see in us a peace that can lead them to make peace with God and come to Him for the forgiveness that will raise us above the strife that defines our age.